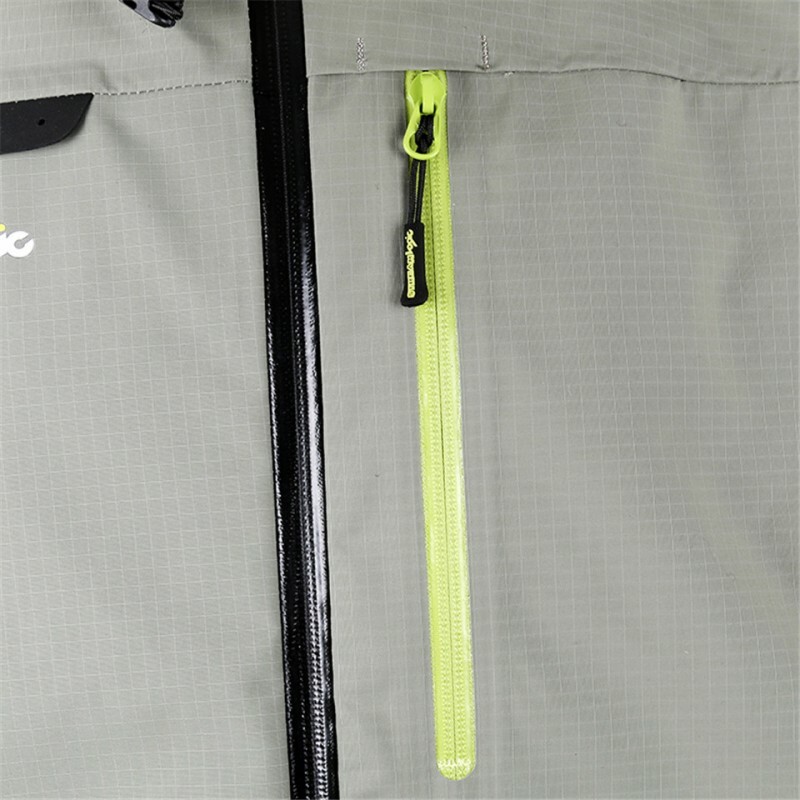 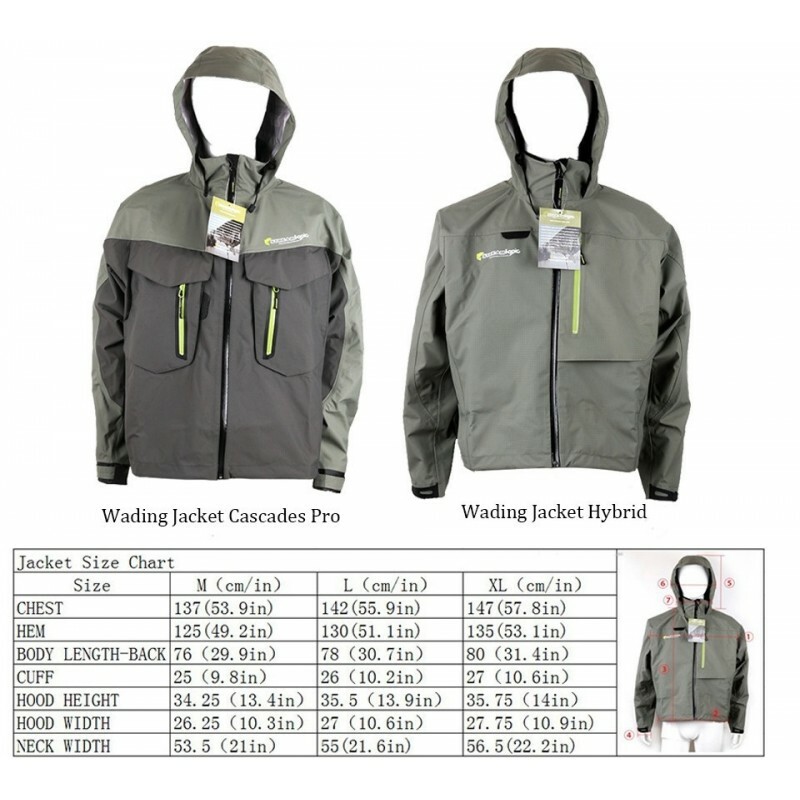 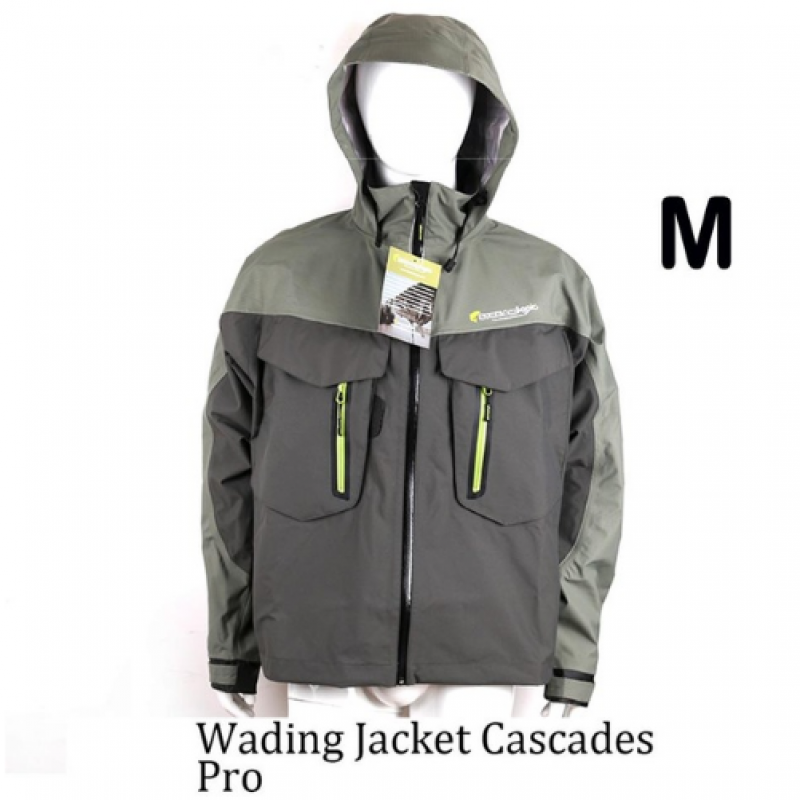 These Two Wading Jackets are our new-arrival product,which constructed by the three-layer material, breathable, and waterproof fabric ensure that you have a jacket that will perform under the toughest conditions. 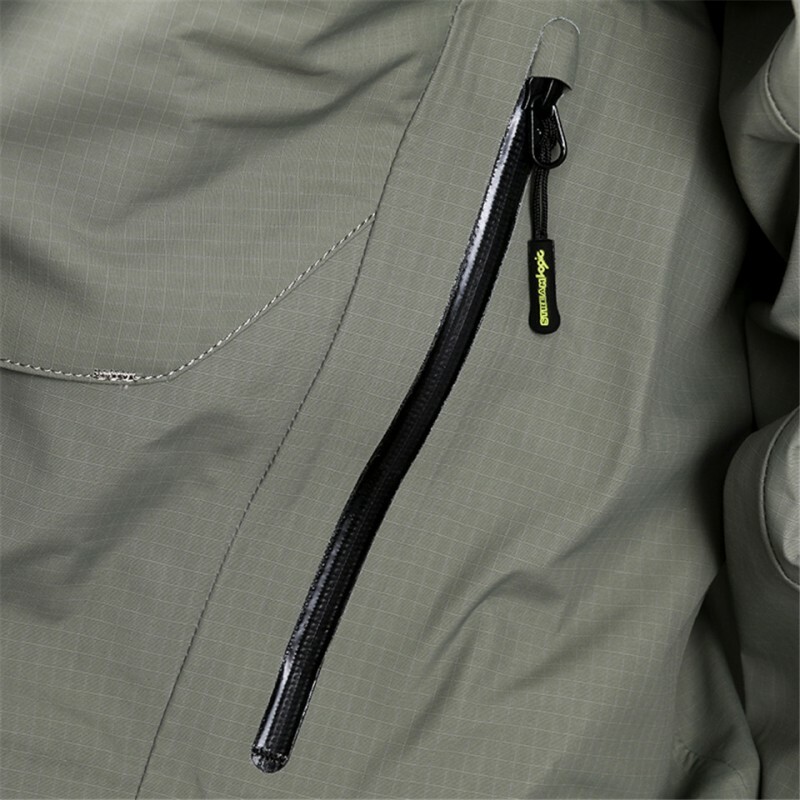 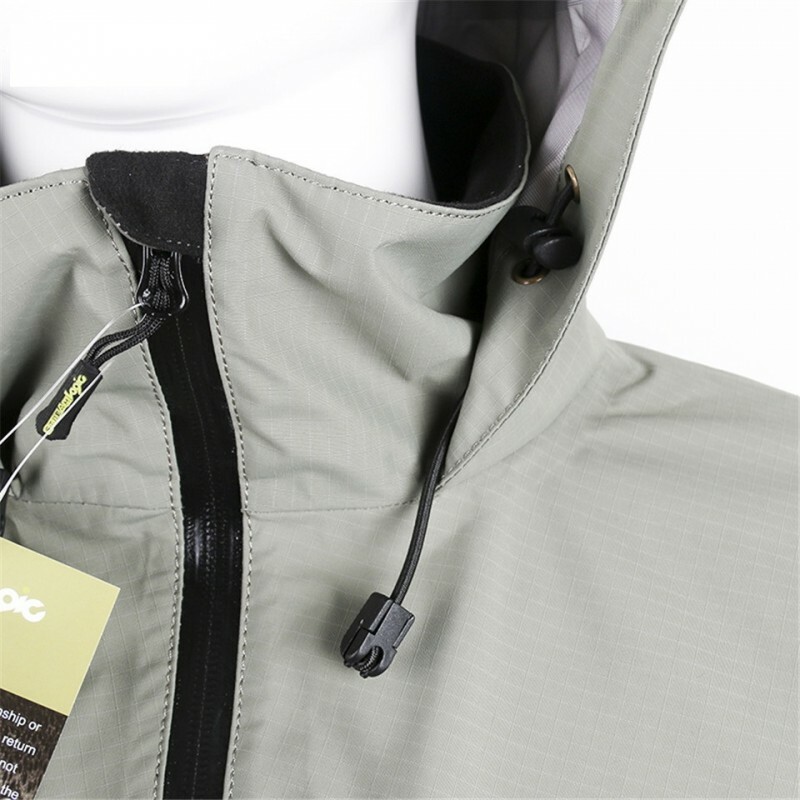 These jackets have arge zippers located on the front of the coat, convenient to use and more breathable. 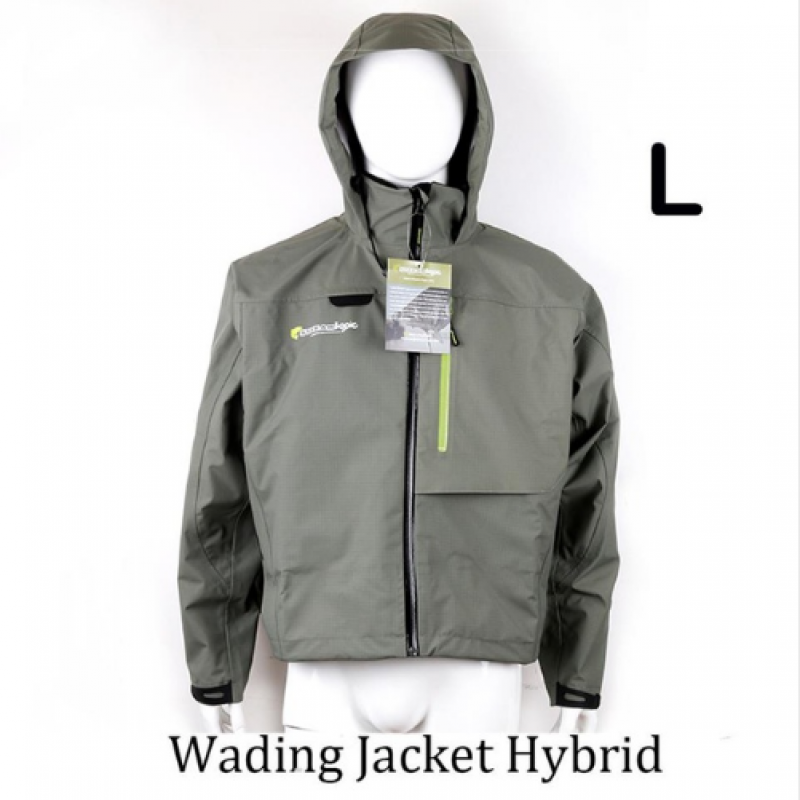 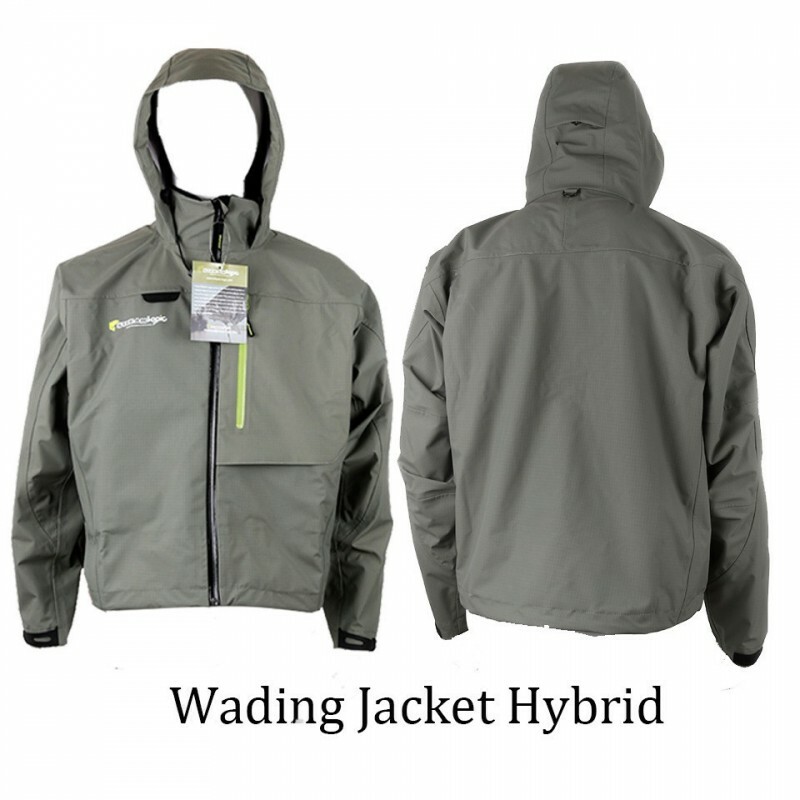 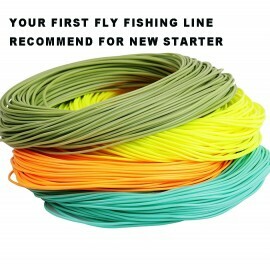 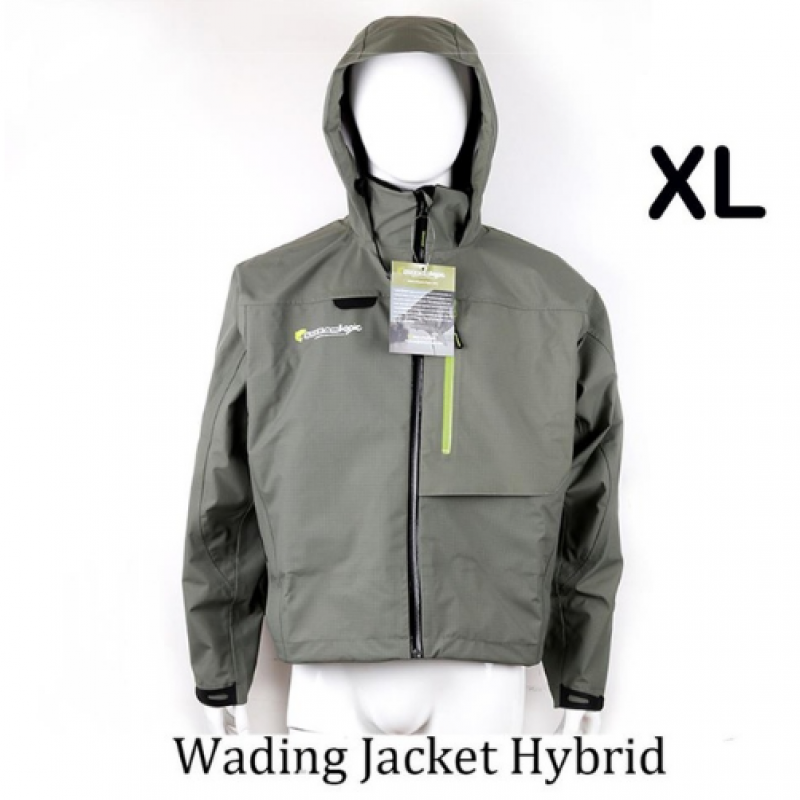 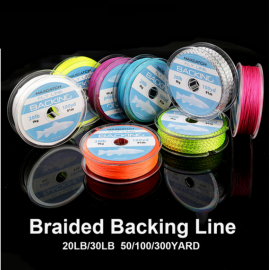 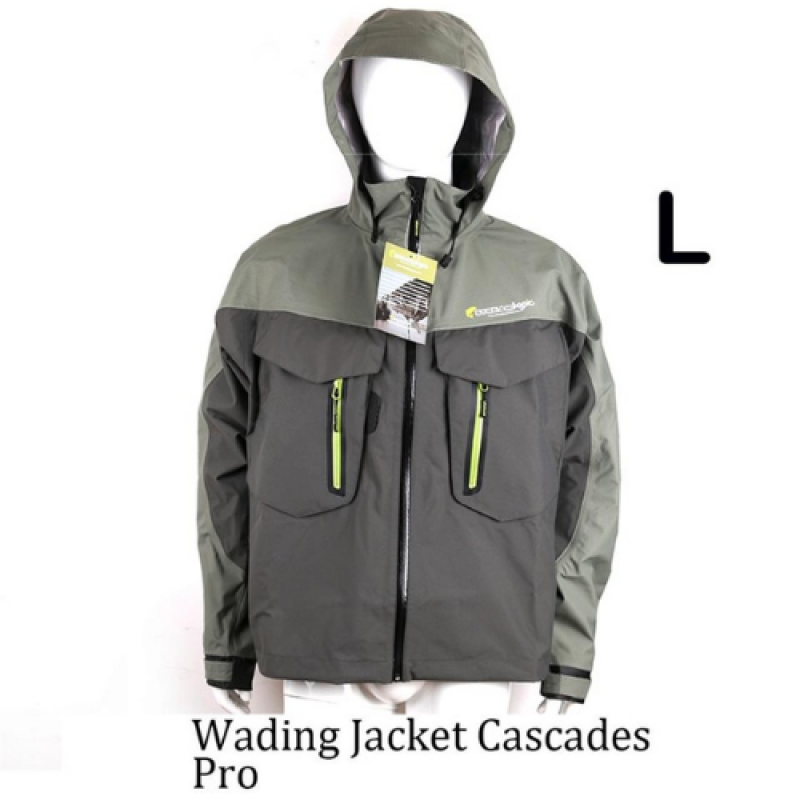 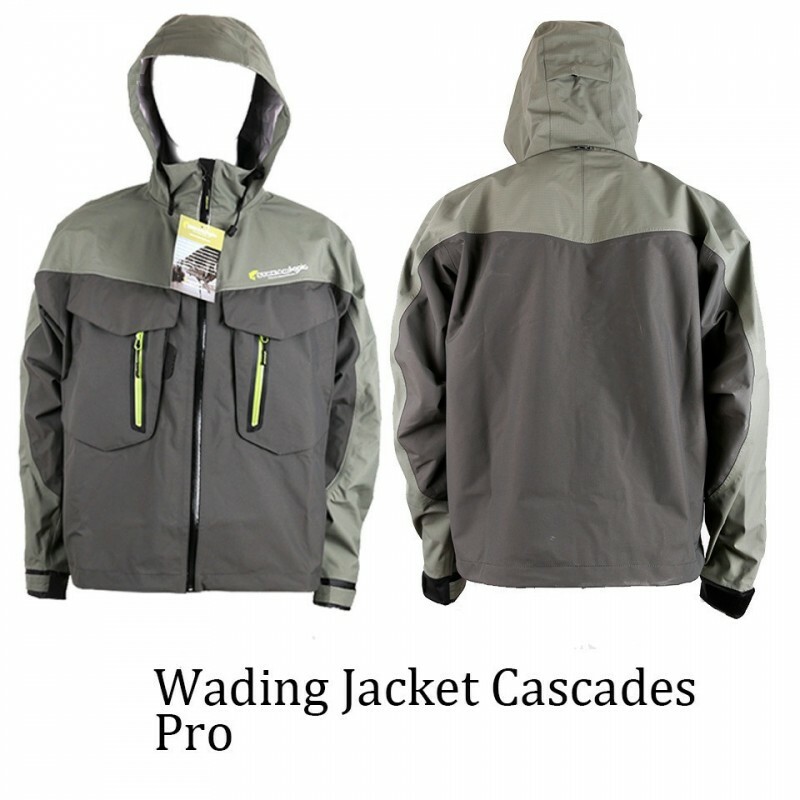 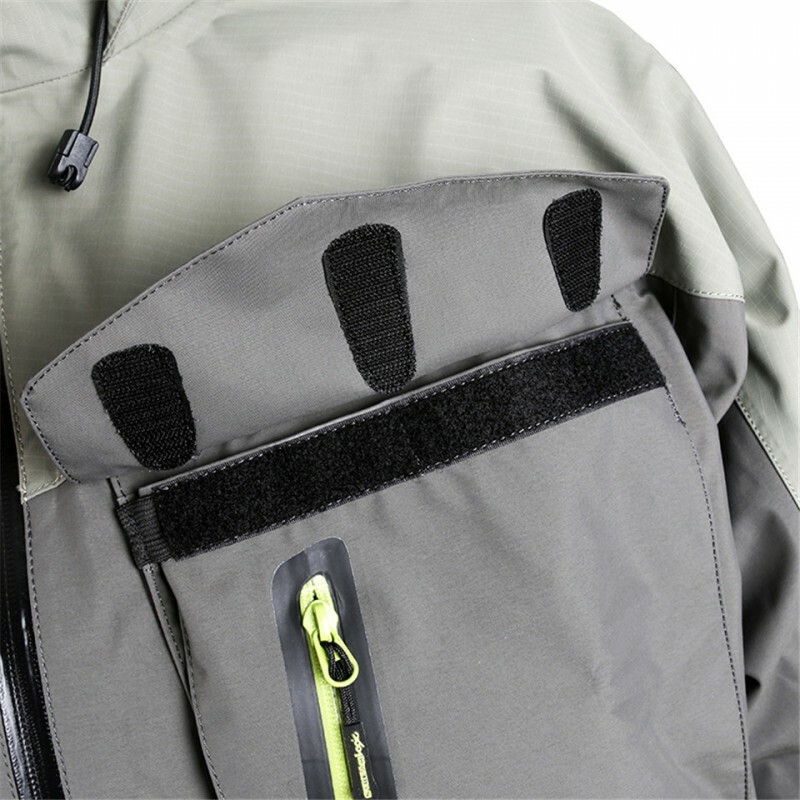 the front of Wading Jacket Hybrid, keep your fly boxes, nippers, and all items in good condition.